by Michael E. Salla, MA., Ph.D. 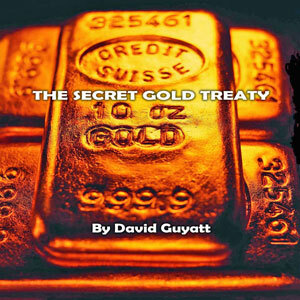 The U.S. District Court lawsuit supports claims by David Guyatt, author of The Secret Gold Treaty, that missing World War II era national gold reserves have been intentionally kept out of public circulation (“black gold”). Furthermore, the lawsuit reveals a coordinated international effort to launder, trade and defraud owners or investors of bonds and other financial instruments issued against the “black gold”. At the heart of this internationally coordinated effort, according to Guyatt, is the Bilderberg Group - which in 1954 played a key role in the passage of a Secret Gold Treaty. What this paper will show is that what lies behind the Bilderberg Group’s involvement with “black gold” is to provide long-term funding for a globally coordinated ‘second’ Manhattan Project. The ultimate goal of this globally coordinated project is to comprehensively deal with a subject so vast and complex as to dwarf the resources of any one nation - extraterrestrial life and technology. The U.S. District Court lawsuit has aroused considerable controversy over its authenticity and the ownership of the 134.5 billion in Federal Reserve notes, bonds and other financial instruments. The principal plaintiff in the lawsuit, Neil Keenan, claims to have been defrauded by a number of official government agencies and political figures including a little known organization called the Office of International Treasury Control (OITC), and its principal officers Dr Ray Dam (President) and David Sale (Deputy Chief of the Council for Cabinet of OITC). On the other hand, Sale claims that Keenan and his accomplices fraudulently gained possession of the bonds from the OITC. Importantly, neither of the two parties contesting ownership of the bonds dispute their validity. The core claim of the November 2011 District Court filing is that the bonds apprehended in Chiasso, Italy in June 2009 by the Italian financial police were genuinely issued by the Roosevelt administration in exchange for gold deposited by the Nationalist Government of China some time before the Japanese invasion on July 7, 1937. Upon information and belief, between 1927 and 1938, as a result of arrangements made between China and the United States, the United States… leased vast amounts of gold from the nationalist Chinese Government, known as Kuomintang. The lawsuit goes on to claim that the 134.5 billion dollars of gold given to the U.S. government was only a small percentage of the total gold held by China’s nationalist government, or the Kuomintang. The total was estimated to be “thousands of trillions” in value - which seems like an impossibly high estimate given current knowledge of world gold reserves. According to Wikipedia, 165,000 tons of gold are known to exist - at the current market price of $1700 per ounce, this comes out to approximately 10 trillion U.S. dollars. Thousands of trillions would be gold reserves of approximately 20 million metric tons or more. Whatever the total value of gold acquired during the millennia of China’s dynastic rulers it is reasonable to believe that much of it was successfully hidden from Japan, and subsequently taken out of mainland China by the Kuomintang prior to the Communist takeover in 1949. These events occurred in conformity with the 1934 Gold Act and President Roosevelt’s 1933 Executive Order (6102) which prohibited private ownership of gold, and instructed private citizens to sell all their gold to the Federal Reserve Bank at a prescribed rate of $20.67. …following the promulgation in 1934 of the Gold Reserve Act, the law required all bullion gold and gold coin to be surrendered to the Federal Reserve… Foreign Gold held by the Treasury was also surrendered to and thus leased to the Federal Reserve, which resulted in the issuance of the series of 1934 Notes by the Federal Reserve. …in order to effectuate this process, the Notes were printed to appear as if they were not produced from official origin and bear obvious imperfections, therefore easily deniable. This apparently was why original press reports of the 134.5 billion seized at Chiasso concluded they were forgeries. The Dragon Family initially wanted to protect the gold reserves entrusted to them from Japan and later communist authorities. Currently headed by a mysterious General Haan, the Dragon Family had unsuccessfully attempted to redeem the bonds over several years through their signatory Yamaguchi. At a certain point in complex negotiations, Keenan instructed the two Japanese citizens - Akihiko Yamaguchi and Mitsuyoshi Watanabe acting as couriers for “The Dragon Family” - to transport the bonds to the proper Swiss banking authorities for their ultimate redemption. 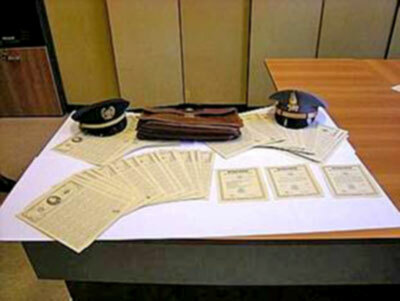 The detention of Watanabe and Yamagushi, and confiscation of the 134.5 billion in bonds by the Italian financial police on the border town of Chiasso, according to the lawsuit, was part of an elaborate attempt to steal the bonds by a host of actors. The case outlined in the lawsuit is very complex and details what appears to be an elaborate attempt to defraud Neil Keenan of bonds entrusted to him by the Dragon Family. Keenan is described as a US citizen currently residing in Bulgaria who first come into contact with the Dragon Family in August 2008 due to his political connections, and assistance with bank contacts in Cyprus. Included in the list of royal families named by Sale are the descendents of the Hapsburgs, Savoy, Romanovs and many other royal families who collectively owned, according to Sale, two million metric tons of gold. According to Sale, the Royal Families handed over ownership of the “collateral accounts” once they realized that redemption of the 50 year bonds making up the “collateral accounts” would be challenged by powerful financial institutions from around the world. Dr Ray Dam, also an alleged royal family descendent, was tasked with the job of redeeming the bonds for the purposes of world wide humanitarian projects. 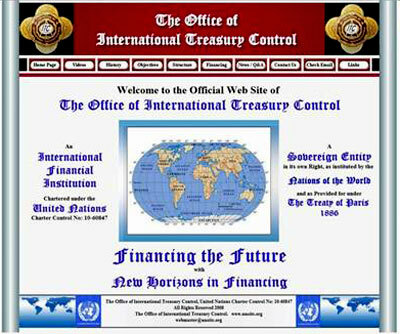 On January 20th 1995, Dr. Ray C. Dam was appointed International Treasury Controller, and Legal Heir and Owner of the Combined International Collateral Accounts [hidden national gold reserves] of the Global Debt Facility, with full authority and dispositional control of same, under Legal Decadency RCD 1088, executed by the Nations of the World. According to Sale, the Federal Reserve bonds discovered at Chiasso Italy in June 2009, are part of the “collateral accounts” entrusted to the OITC, and were stolen by Keenan. Sale further claims that he has documentation that Neil Keenan is in fact a CIA official who in collaboration with another CIA agent that had infiltrated the OITC, Keith Scott, had stolen the bonds from the OITC. How credible is David Sale? His core claim that Ray Dam was entrusted with all the “collateral accounts” of national gold reserves historically taken/stolen from royal families sounds fanciful. Yet Sale’s credibility is vouched for by Rayelan Allan who along with her ex-husband, Gunther Russbacher, was involved in locating and repatriating missing national gold reserves for several decades. Russbacher is of Austrian descent and his father was in Nazi Intelligence, and emmigrated to the US after the war, in 1954. Allan claims to have assisted Russbacher in the secret relocation of Austrian national gold reserves looted by NAZI Germany, from the Philippines back to Austria in 1994. Guyatt found Russbacher and Allan to be credible and described in some detail their role in relocating Austrian gold reserves which he described as a single transfer of 500 metric tons, though Allan claimed the total was much higher with multiple transfers (totaling an astonishing 500,000 metric tons). What certainly doesn’t help Keenan’s lawsuit is the claim that somehow Dal Bosco gained possession of the Dragon Family Financial Instruments (DFFI) in September 2009. If the DFFI were seized by the Italian authorities in June 2009, how did Dal Bosco gain possession three months later before handing them off to the OITC? This is not explained in the lawsuit, and the reader is left to assume that the Italian Financial police somehow handed the Federal Reserve notes and bonds seized at Chiasso to Dal Bosco. Why and how is not clearly explained in the lawsuit, making it difficult to imagine that the lawsuit will succeed. So while the lawsuit appears genuine enough and was lodged by a reputable law firm, its failure to explain the alleged transfer of the financial instruments seized at Chiasso into Dal Bosco’s possession does raise questions over the legal strategy behind the lawsuit. If the world’s known gold reserves of 165,000 metric tones is 15% of the real figure, that means that approximately one million metric tons of missing gold reserves exist elsewhere. Much of this missing gold allegedly remains under the control of the Dragon Family whose interests Keenan was representing in the case of the Chiasso incident. If the Keenan’s account in the lawsuit is accurate, the Chinese gold transferred to the US Federal Reserve Bank in the mid-1930s is only the tip of the iceberg. Entrusting the Federal Reserve notes and bonds to Keenan appears to have been calculated gamble. They were fully aware that their bonds would very likely be taken from Keenan at some point, but believed that the eventual lawsuit would be the catalyst for the rest of the world learning about the way in which China’s and other national gold reserves have been secretly taken out of circulation for decades. As mentioned earlier, Keenan’s account is strongly challenged by David Sale, Ray Dam, and the OITC who have been trying since 1995 to bring attention to the way in which national gold reserves were secretly taken out of circulation since the Second World War era. Along with Rayelan Allan who with her former husband, Gunther Russbacher, were also involved in efforts to bring public attention to missing national gold reserves, it is very possible that Keenan is part of an “officially sanctioned” attempt to co-opt and publicize such efforts; or he may simply be part of a “Dragon Family” sting operation to publicize the history behind the bonds as suggested by Fulford. Regardless of the controversy over ownership of Federal Reserve bonds behind the trillion dollar lawsuit, both Keenan/Dragon Family and Sale/OITC agree over the bonds’ authenticity. Most importantly, both parties agree that the bonds were issued by the US Federal Reserve bank against gold reserves leased to it during the Second World War era. The national gold reserves of nationalist China, in Keenan’s/Dragon Family lawsuit version of historic events (somewhere in the range from one to 20 million tons); or the gold of most of the worlds exiled royal families in the Sale/OITC version of events (two million tons) dwarf in size the known world gold reserves of 165,000 tons. The most telling fact to emerge from the lawsuit is that the vast majority of the world’s gold has been hidden away from public knowledge and scrutiny for decades. …the full story of the nature of gold has yet to be told, and my guess is that it will remain hermetically sealed amongst the few for a very long time to come. Two things are certain, however. The historical official mining figures for gold are patently false and have been knowingly fabricated and thrust on an unsuspecting public. Second, and leading on from this, it is, therefore, evident that gold is not at all rare. Current statistics show above- ground stocks of the metal to total about 140,000 metric tones. The reality is far, far higher and, in all probability, is well in excess of one million tonnes. his historic gold deception can only have been achieved by the concerted efforts of central banks with the approval of senior government officials from around the world in order to manipulate national monetary policies. The 1954 Bilderberg meeting had multiple reasons to convene. The public justification was that it was held to promote political and economic cooperation between Europe and North America as the best defense to what was now perceived as the long term threat of communism. To that end, prominent business and political leaders have been regularly invited to Bilderberg Group on an annual basis to discuss ways of coordinating national policies and anticipating global trends. The annual meetings of some of the worlds most powerful public figures has naturally led to much curiosity over the Bilderberg Group’s origins and goals. In 1954, the most powerful men in the world met for the time under the auspices of the Dutch royal crown and the Rockefeller family at the luxurious Hotel Bilderberg in the small Dutch town of Oosterbeek. For an entire weekend, they debated the future of the world. 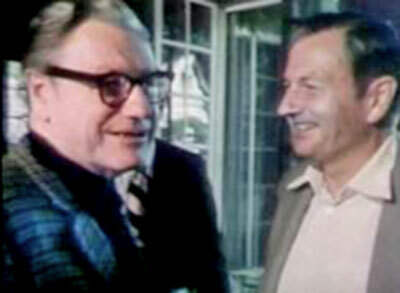 Among the many notable individuals involved with Bilderberg Group meetings over the decades since its formation, Estulin gives special mention to the role of Henry Kissinger who was a protégé of the Rockefeller brothers. While Estulin identifies some of the Bilderberg Group’s key players, he only captures the surface layer of the Bilderberg Group’s origins and goals. The deeper secret justification for the Bilderberg Group’s creation was to encourage global cooperation in response to a perceived long term threat known to the key actors in forming the Bilderberg Group: the Rockefeller brothers; Prince Bernard of the Netherlands; and a key Rockefeller protégé, Henry Kissinger. This long term threat was only shared on a need-to-know basis, and emanated from World War II events involving Nazi Germany’s advanced technology programs. Events which Nelson Rockefeller and Kissinger were deeply involved - the existence of extraterrestrial life and technology. There is significant evidence that Nazi Germany had partially succeeded in developing highly advanced technologies gathered from extraterrestrial sources. There were crashes elsewhere, and they [the Germans] gathered material too. The Germans were working on it. They didn’t solve the propulsion system. They did a lot of experiments on flying saucers. They had one that went up to 12,000 feet. The partly successful efforts by top Nazi scientists in understanding ancient historical texts discussing advanced technologies, and reverse engineering extraterrestrial technology was a major factor in Nazi Germany’s advanced weapons technology program. This led to the Nazis prolonging the war effort in order to fully deploy these new weapons systems. As the Second World War drew to a close with the inevitable defeat of Nazi Germany, the Nazi SS began to secretly remove its most advanced technologies, projects and scientists to sympathetic countries in Latin America. President Roosevelt appointed Nelson Rockefeller to the position of “Coordinator of Inter-American Affairs” in the Office of Inter-American Affairs in 1940. Rockefeller was responsible for a program of US cooperation with South American nations, and to counter rising Nazi influence in the region. With the help of the FBI which at the time had field offices in South and Central America, Rockefeller led counter-intelligence operations in order to find the relocated Nazi technology projects and the looted gold. 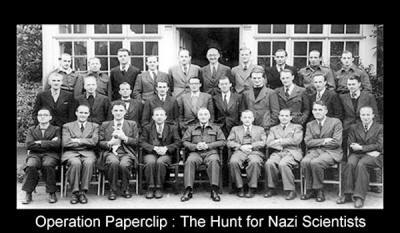 While Rockefeller was dealing with Nazis in South America during the Second World War, in Europe, a top secret effort to repatriate Nazi scientists in order to utilize their expertise was begun by US Army’s Counter Intelligence Corps. A little known figure in ‘Operation Paperclip’ was a young German speaking US Army intelligence officer with a German Jewish background - Henry Kissinger. Kissinger was born in Fuerth, Germany on May 27, 1923, and served in the Army Counterintelligence Corps from 1943-46. At the close of World War II, he stayed on active duty in occupied West Germany. Kissinger returned to the US, and in 1947 began his university education as an undergraduate at Harvard University. Kissinger, however, retained his ties to the military, as a Captain in the Military Intelligence Reserves. This enabled him to continue to play a role in issues pertaining to the extraterrestrial presence as the policy at the highest level of the Truman administration was being developed. By 1950, Kissinger was now a graduate student and was working part time for the Department of Defense. He regularly commuted to Washington - as a consultant to its Operations Research Office which was under the direct control of the Joint Chiefs of Staff. 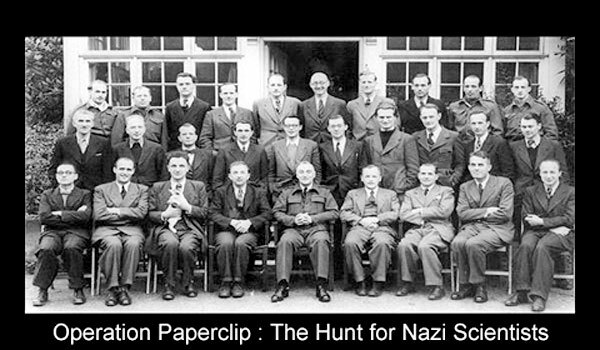 The Operations Research Office ‘officially’ conducted highly classified studies on such topics as the utilization of former German operatives and Nazi partisan supporters in CIA clandestine activities. Kissinger’s official duties were once again a cover for his role in coordinating the recruitment and utilization of former Nazi scientists in clandestine projects involving the reverse engineering of extraterrestrial technology. In I952, after completing his PhD, Kissinger became a consultant to the director of the Psychological Strategy Board, an operating arm of the National Security Council for covert psychological and paramilitary operations. Kissinger’s role expanded to dealing with the extensive policy issues surrounding the extraterrestrial presence. Kissinger’s inside knowledge of Operation Paperclip and the extraterrestrial presence, combined with his strategic thinking abilities, marked him as someone who would rapidly assume a prominent position in the decision making hierarchy. In 1953, President Eisenhower chose Nelson Rockefeller to be in charge of reorganizing the U.S. Federal government. Rockefeller from 1953-59 was Chairman of the President’s ‘Advisory Committee on Government Organization.’ In addition, in 1954 Eisenhower appointed Rockefeller his Special Assistant for Cold War Planning, a position that officially involved the ‘monitoring and approval of covert CIA operations’. Soon after his appointments to the Eisenhower administration, Rockefeller met with Kissinger and became greatly impressed by the latter’s intellect and strategic insights. That Nelson Rockefeller is dead is both shattering and nearly inconceivable. One thought him indestructible, so overpowering was he in his energy, warmth and his deep faith in man’s inherent goodness. For twenty-five years, he had been my friend, my older brother, my inspiration and my teacher. I first met Nelson Rockefeller when, as an assistant to the President, he called me, a graduate student, to join one of the panels of experts he was forever setting up to ponder the nation’s future. He entered the room slapping backs, calling each of us by the best approximation to our first name that he could remember, at once outgoing and remote. Kissinger’s role in the clandestine operations, his close relationship with Nelson Rockefeller, his intellectual abilities, all combined to lead to a steady increase in his influence. Rockefeller and others running clandestine organizations understood the danger in not coordinating clandestine policy towards extraterrestrial life and technology, with the more conventional foreign policy issues that were the focus of public attention. They were acutely aware of the potential threat posed by an extraterrestrial presence whose technological capacities far exceeded humanity’s. The very first Bilderberg meeting in May 1954 was set up with all these considerations in mind. Most importantly, however, was the fact that the first Bilderberg meeting occurred soon after another major event that is yet to be disclosed to the public. That is President Eisenhower’s alleged meeting with a delegation of extraterrestrials at Edwards Air Force base in February 1954. A number of whistleblowers have claimed to have either directly witnessed, or seen documents/film of one of the most important diplomatic meetings ever held in human history. The core story is that President Eisenhower secretly traveled to Edwards AFB to meet with a delegation of extraterrestrials over the weekend of February 19-20, 1954 in a final attempt by the latter to halt America’s thermonuclear weapons program. Apparently, the extraterrestrial delegation wanted to persuade Eisenhower to use his personal authority to put an end to the development of the Hydrogen bomb whose destructive capacities far exceeded the more primitive nuclear fission bombs used on Japan. The extraterrestrials offered to help the U.S. develop spiritually and ethically before introducing advanced technologies that could also be used for weapons of mass destruction. Eisenhower’s national security team was firmly opposed to the extraterrestrial’s overtures. I have just returned from Muroc [Edwards Air Force Base]. The report is true - devastatingly true!… When we were allowed to enter the restricted section (after about six hours in which we were checked on every possible item, event, incident and aspect of our personal and public lives), I had the distinct feeling that the world had come to an end with fantastic realism. President Eisenhower, as you may already know, was spirited over to Muroc one night during his visit to Palm Springs recently. And it is my conviction that he will ignore the terrific conflict between the various 'authorities' and go directly to the people via radio and television - if the impasse continues much longer. The date of May for Eisenhower’s tentative extraterrestrial disclosure announcement is an important clue to the timetable decision makers were using to decide what to do about the extraterrestrials concerns over nuclear weapons. The diplomatic meeting failed and less than two weeks later, America tested its largest ever hydrogen bomb on March 1, 1954 - the Bravo Test’s 15 megaton yield was 1000 times more destructive than the bomb used at Hiroshima. Rather than move forward with a May 1954 Disclosure announcement, Eisenhower instead approved keeping the existence of extraterrestrial life a closely guarded secret. The main task of the Bilderberg Group was to coordinate the developed nations of the world so that any information gained by any nation pertaining to extraterrestrial life and technology was to be sent to the right place for research and development. A highly secretive second Manhattan project that had begun in the United States under President Truman to deal with the extraterrestrial presence was expanded to include other nations in a globally coordinated effort. Eisenhower’s election in November 1952, offered his chief supporters, the Rockefeller Family, the opportunity to have greater corporate involvement in the now secret ‘Global’ Manhattan Project. The Rockefeller brothers (Nelson and David) along with Henry Kissinger, were instrumental in shaping the Eisenhower government’s response to the extraterrestrial presence using Cold War covert operations as a cover, and helping set up the Bilderberg Group for that purpose. The Bilderberg Group would meet to coordinate national policies so that humanity would have the best chance of surviving the challenges posed by visitation of different extraterrestrial factions with unknown agendas. A vital part of the Bilderberg Group agenda was to ensure that the global media and national legislatures would not learn about the extraterrestrial presence, or of the coordinated national contributions to a globally coordinated Manhattan Project. Funding a Global Manhattan Project, let alone the U.S. element that was at its core would be a monumental task. The Global Manhattan Project would cost hundreds of billions in the 1950s, and eventually grow to trillions to fund each year. It would have to be funded in a way that the mass media and national legislatures would not discover what was happening. More importantly, a funding mechanism would need to be found that was reliable and could last for decades if some of the more conventional sources were exposed and/or dried up. Nor would funding the global Manhattan project entirely from corporations controlled by political and social elites from around the world suffice. Company shareholders would revolt if too much money disappeared for development purposes into unknown corporate programs thereby threatening dividends and stock value. While extraterrestrial technologies offered fantastic possibilities for future revenue, the market release of these were subject to national security concerns that would override company profit sheets. Even the largest multinational corporations where in no position to commit billions of dollars for research and development purposes without any timetable for when their investments would see the light of day in a market release. The most plausible long term funding mechanism would have to be hidden or “black” in the sense that it was not part of the publicly identified revenue belonging to national governments or major multinational corporations. The solution would be to significantly expand the “unofficial” black budget that had been created during the Truman administration by the creation of the CIA. … any other Government agency is authorized to transfer to or receive from the Agency such sums without regard to any provisions of law limiting or prohibiting transfers between appropriations. Basically, the 1949 CIA Act gave the CIA the legal cover to launder money through different government departments and agencies. The CIA immediately began setting up a host of unconventional funding sources for its covert operations. Over the decades, the CIA’s unofficial black budget would grow spectacularly to where in the years 1998-2000, an average of 1.7 trillion dollars was being funneled into the U.S. Department of Defense for funding the deep black projects set up to deal with extraterrestrial presence. What follows is a table summarizing the accounting irregularities found in the Dept of Defense which are the tell-tale signs of CIA money laundered through the DoD for deep black projects and covert operations. ...were not a long term solution for funding the Global Manhattan Project. If any of these funding methods were publicly exposed or dried up in some way, the Global Manhattan Project could be at risk. Nor were the CIA’s funding methods easily transferable to the intelligence agencies of other nations. So a more long term global funding mechanism was developed at the first ever Bilderberg Group meeting. This is the Secret Gold Treaty first exposed by David Guyatt in 2000, and linked to the Bilderberg Group’s establishment. The enormous sums of gold that had been hoarded and moved during the Second World War into different locations in Asia, Switzerland and South America offered an almost unlimited means of international funding for a globally coordinated Manhattan Project. The Bilderberg Group was the forum whereby the Secret Gold Treaty was negotiated and implemented so that a Global Manhattan Project in response to the extraterrestrial presence could be funded for decades, if not centuries, without the general public learning of its existence. The answer to this enigma appears to reside in a secret meeting held in 1972 in which 48 nations (or representatives from 48 nations) participated that formalized an earlier informal agreement (dare I say a "Secret Treaty?") to control and "use" the metal plundered during World War II. Basically, as Guyatt first revealed, the amount of publicly known and tradable gold would be contrived by deflating the amount of historically mined gold to the current estimate of 165 thousand tons. In reality, the amount of “black gold” greatly exceeded this by as much as a factor of a 100 or even more. Keeping Asia’s and Europe’s “black gold” off the books would offer a cache of gold that could be moved, traded and/or liquidated in ways that would generate enormous sums for different national intelligence agencies. The amalgamated pool of funds created and now held in dormant and orphaned bank accounts runs to trillions of dollars, according to insiders. At the low end of estimates, there is believed to be enough to pay off the US national debt plus some change. At the higher end, estimates range up to hundreds of trillions of dollars. The CIA and other developed world intelligence agencies would cooperate with the political and economic elites of different nations under the auspices of the Bilderberg Group to ensure these enormous sums were directed into the global Manhattan project. The trillion dollar lawsuit introduced to the New York District court involves only a small portion of what are large caches of “black gold” hidden in Taiwan, China, Philippines, South America, Switzerland and elsewhere. Whenever the rightful owners, their descendents or representatives, attempt to redeem the bonds issued against their gold, they get caught up in a complex legal process that often results in charges of financial fraud. This is what has happened with the Chiasso Italy incident which is the core of the New York lawsuit. David Guyatt described a similar incident that occurred in the 1990s in his ebook, The Secret Gold Treaty. Ownership of the majority of black gold, however, is unclear due to the twists and turns of history’s wars where national treasures were looted and hidden in secret locations by invading forces. This historical process has made “black gold” ideal collateral for long-term funding of a secret Global Manhattan Project where bonds can be issued against the hidden gold by major financial institutions. Organizations such as the Bilderberg Group help coordinate international efforts to fund this global project through black gold and other available funding revenues created by the CIA and other intelligence agencies. The ultimate goal of this globally coordinated Manhattan Project is to comprehensively deal extraterrestrial life and technology, the vastness and complexity of which would otherwise dwarf the resources of any one nation. I received the following email by French author Jean-Marie Le Ray after publishing the above study. "Now, the fact is that bonds seized by the Italian authorities in June 2009 (134.5 billion $) are not the same than bonds claimed by Keenan in his lawsuit (144.5 billion $), with different serial numbers, as I explain here". Consequently, the financial instruments mentioned in Keenan's lawsuit are different to those seized by the Italian authorities in June 2009. It appears that Dal Bosco gained possession of another set of Dragon Family Financial Instruments (DFFI) in September 2009 to those confiscated at Chiasso. This supports the claim by Keenan and the Dragon Family that the bonds seized at Chiasso are only a portion of the total amount of bonds held by the Dragon Family. Daniel Estulin, The True Story of the Bilderberg Group (TrineDay, 2007) xiii. Daniel Estulin, The True Story of the Bilderberg Group (TrineDay, 2007) xiii-xv. Estulin, The True Story of the Bilderberg Group, 59. Estulin, The True Story of the Bilderberg Group, 58, 60. See Alexander Berzin “The Nazi Connection with Shambhala and Tibet"
 Zecharia Sitchin, The 12th Planet (1976); Erich Von Daniken, Chariots of The Gods (1968). Henry Kissinger, “Words of Commemoration: Memorial Service for Nelson Rockefeller," February 2, 1979. Michael Salla, “Eisenhower’s 1954 Meeting With Extraterrestrials: The Fiftieth Anniversary of First Contact?”. See also, Michael Salla, Exposing US Government Policies on Extraterrestrial Life (Exopolitics Institute, 2009) 9-45.